Benissa es un pequeño pueblo de España, en la provincia de Alicante, a 275 m sobre el nivel del mar, y una de las ciudades más antiguas de la Costa Blanca. Die Gemeinde Moraira liegt in der Provinz Alicante, 100 km südlich von Valencia und zirca 80 km nördlich von Alicante mit internationale Flugverbindungen. Zu Moraira gehören zirka 8 km Küste. Ein großer Anteil sind Nordeuropäer. Strände Gleich im Stadtzentrum am Fuße der Burg liegt der beliebteste Strand L’Ampolla. Weiter nördlich liegt der Strand Portet. Er ist muschelförmig angelegt und relativ klein. Mit seinem feinen Sand und dem klaren Wasser, ein perfekter Platz um in Ruhe Baden zu gehen. Im Stadtzentrum liegen der traditionelle Fischereihafen und Morairas Yachthafen. Der Yachthafen zählt zu den besten der Region Valencia und bietet 620 Liegeplätze und alle notwendigen Einrichtungen. Try a winter holiday rentals in Spain. Why not? 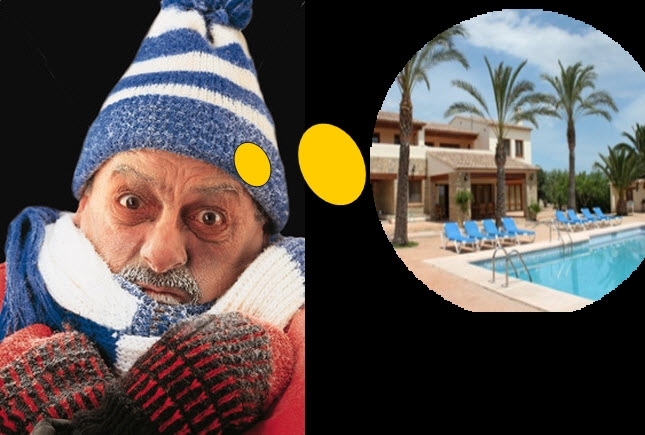 Abandon your thermal vest and long-johns and join the growing number of seniors who are upping sticks and basking in the warmth of a Spanish winter for a few of weeks or longer? Long term Spanish holiday lets are available to book direct in places like Moraira on the Costa Blanca in southern Spain. If you have time available during the winter months then winter break vacation rentals might prove to be even cheaper than staying at home! Our long term Spanish holiday lets in the wintertime have some special discounts spending a few weeks or even months in the sun. The major benefit has got to be the great and warm climate! While the UK shivers its way through the winter months, daytime temperatures in many parts of Spain rarely fall below 10°C (50°F) and can often be much higher. The warm and welcoming climate seems to be mostly interesting to people who may suffer from arthritic or bronchial conditions. 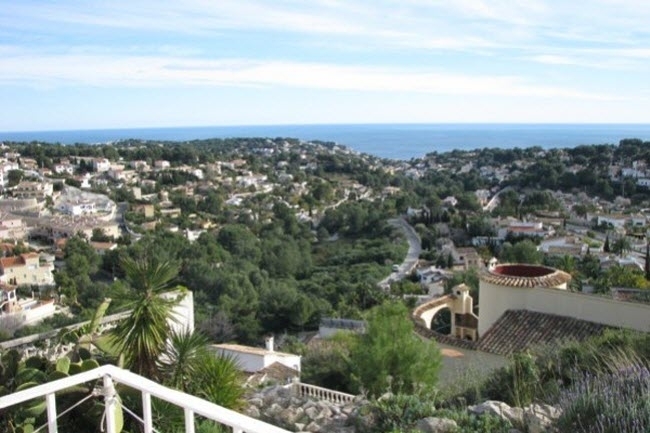 If you love the laidback Spanish lifestyle, why not take advantage of affordable winter break vacation rentals in the lovely resort of Moraira on the Costa Blanca. Winter daytime temperatures rarely fall below 10ºC and can in fact be high enough for tanning on the balcony or patio of your winter holiday rentals in Spain. Costa Blanca has transformed from just a holiday destination into a desirable residential location for retired people from Western Europe due to its wonderful climate and lower cost of living. Other places on the Costa Blanca to search for winter holiday rentals in Spain include Calpe and Benissa.